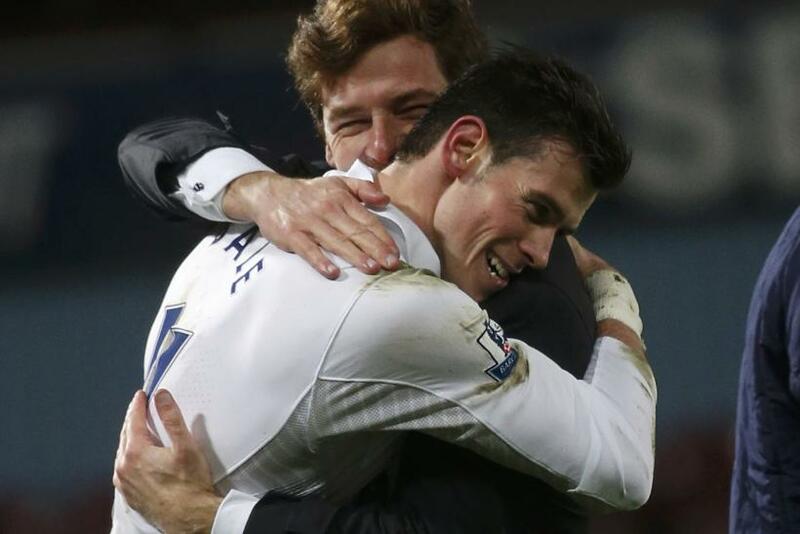 Is Gareth Bale ready to sever his ties with Tottenham and manager Andre Villas-Boas this summer? Tottenham have the opportunity to stake a huge claim to be the top dogs in North London if they can beat Arsenal at White Hart Lane on Sunday. It has been 18 years since Tottenham finished above their fiercest of rivals in the league standings, but a win would put them seven points clear with 10 matches remaining. Neither Tottenham’s fans nor players will need reminding that they have been here before. In five of the last seven seasons Spurs have finished a single spot below Arsenal in the Premier League; often time in agonizing fashion with the added pain of failing to qualify for the Champions League. There was the now infamous Lasagna-gate incident on the final day of the 2005-06 season when several of Tottenham’s players went ill before their game at West Ham. The match was lost and a Champions League berth relinquished—to Arsenal. Sunday’s encounter also bares a strong resemblance with their meeting this time last year when Tottenham went into the contest with a 10 point advantage in the table. Spurs took a 2-0 lead at the Emirates, but Arsenal roared back to win 5-2 and the momentum shift was devastating as the Gunners went on to overhaul their points deficit and claim the final place in Europe’s premier competition. Arsenal also won the reverse fixture earlier this season 5-2 and there is a strong sense that Tottenham’s problems in overcoming their neighbors is at least as much mental as physical. Under the management of Andre Villas-Boas, there appears to be a greater consistency and mental strength coupled with an improved tactical stability. Gareth Bale has credited his manager with helping to improve his game and in the Welshman Tottenham currently have the Premier League’s most decisive player. While the match could represent almost a new era for Tottenham under their new boss, it could very much signal the Opposite for Arsenal. For years, a failure to challenge the very best in England and in Europe has been accepted due to an admirable record of constant qualification for the Champions League and everything that represents. A defeat at White Hart Lane would leave a top-four spot in serious jeopardy and the pressure would intensify on manager Arsene Wenger. Arsenal has stressed that failure to get into the Champions League would not be a disaster, but, even ignoring the finances, the dent to the prestige of the club and the atmosphere surrounding it would surely be great. The club has already been through a tumultuous past few weeks as they fell to a lower league side in a cup competition for a second time this season and suffered an eye-opening 3-1 defeat at home to Bayern Munich. Wenger has been keen to point out that Arsenal’s Premier League form has been good of late and the Gunners have won three on the bounce. However, those victories owed more to an ability to grind out a result rather than free-flowing soccer and Wenger must realize that his side is going to have to up their level if they are to mount a successful run at the top four. Their recent goal-scoring exploits against Sunday’s opponents will give Arsenal confidence that they can find their attacking feet at White Hart Lane. While Tottenham will rightly start as favorites to get a priceless three points, Arsenal are unlikely to relinquish the rights to north London superiority without a fight in what promises to be yet another action-packed encounter.